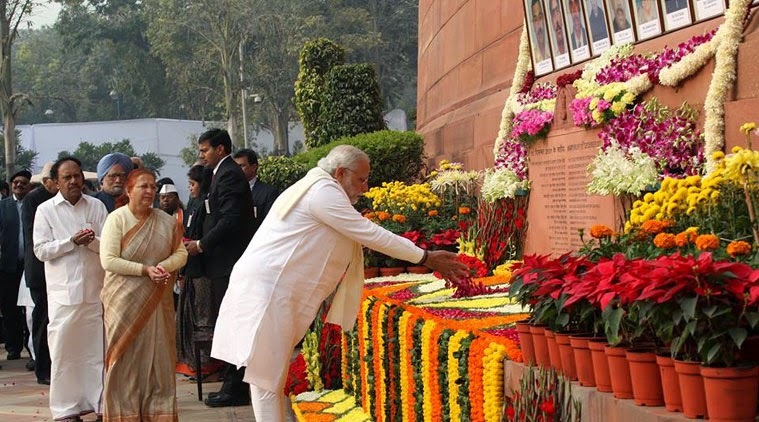 On December 13, 2001, the Indian Parliament was in its winter session. 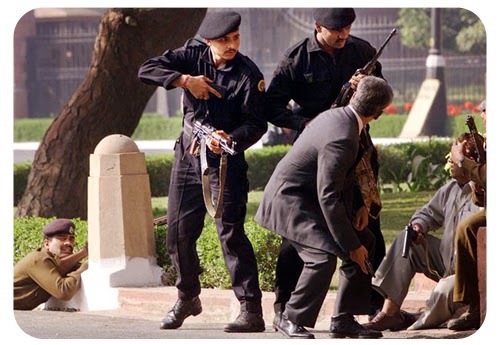 At 11.30 in the morning, five armed terrorists belonging to Pakistan supported Lashkar-e-Toiba and Jaish-e-Mohammed terrorist groups, drove through the gates of Parliament House in a white Ambassador car, fitted with an Improvised Explosive Device. When they were challenged, they jumped out of the car and opened fire. In the gun battle that followed, all the attackers were killed. Eight security personnel and a gardener were killed too. 22 people were injured. 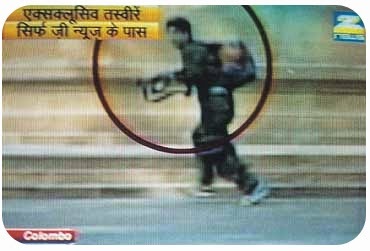 The police said that the dead terrorists had enough explosives to blow up the Parliament building, and enough ammunition to take on a whole battalion of soldiers. Unlike most terrorists, these five left behind a thick trail of evidences — weapons, mobile phones, phone numbers, ID cards, photographs, packets of dry fruit, and even a love letter. There were about 100 Members of Parliament in the building at the time, although none was hurt. The then Prime Minister, Atal Behari Vajpayee, made a televised address to the nation shortly after the attacks, and was quick to denounce the militants. "This was not just an attack on the building. It was a warning to the entire nation." he said. "We accept the challenge." On Dec 14 and 15, the investigating agencies, together with the Special Cell of the Delhi Police, captured four people under the Prevention of Terrorism Act (POTA) that was then in force. They were Afsal Guru, SAR Geelani, a Delhi University professor, Navjot, also known as Afsan, and her husband, Shaukat Hussain Guru. Geelani and Afsan were let off and Shaukat Hussain Guru's death sentence was reduced to 10 years' imprisonment and he is now out of jail. Afzal Guru was sentenced to death on Dec 18, 2002, by a trial court, which the Delhi High Court upheld on Oct 29, 2003. His appeal was rejected by the Supreme Court on Aug 4, 2005. After the hanging of Ajmal Kasab, who was involved in the Mumbai attack, a large section of the Indian population demanded the hanging of Afzal Guru, who was the master mind behind this Parliament attack. Human Rights’ organizations protested against the hanging of Afzal Guru. For fear of Muslim backlash in Kashmir and elsewhere, the Government of India withheld the decision without hanging him. Afzal Guru's mercy petition was rejected by the President of India on 3rd Feb 2013. 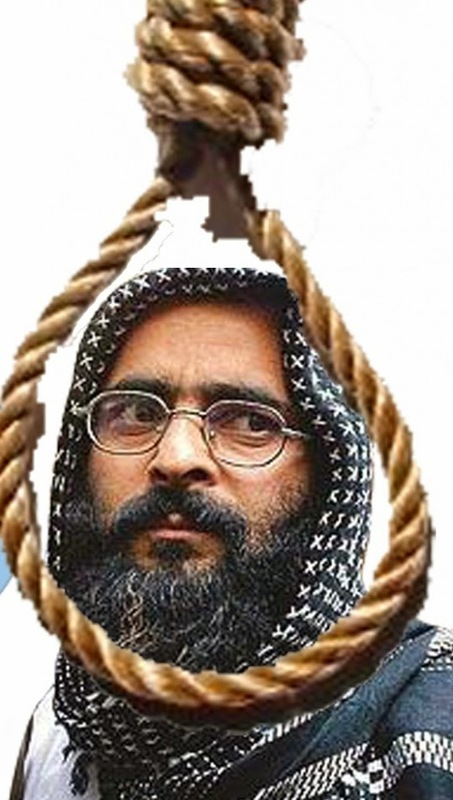 Afzal Guru was hanged six days later on 9 February 2013 at 8 am. Very few officers were told about the decision. Three doctors and a maulvi, who performed his last rites, were informed secretly a night before. They were asked to come early Saturday morning. Guru performed his morning prayers and read a few pages of the Quran. The execution of Mohammed Afzal Guru was named Operation Three Star. It is a different story that some of our human right activisits, secular leaders and some media criicised the Government for hanging Afzal Guru secretly. However, major poliical parties like Congress and BJP welcomed the hanging.